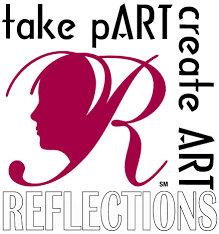 The National PTA Creative Arts Contest, REFLECTIONS, is a wonderful program that is open to all ECMS students. The program gives students the chance to draw, paint, write a story or poem, take a photograph or make a photo collage, compose music, choreograph a dance routine, or create a short film. This year's theme is "What is Your Story." More information on the 2016-2017 Reflections program will be posted soon.